High Precision-Close Tolerances-Complex-Multi Axis, Super Finish Wire EDM-Innovative Wire EDM Service. 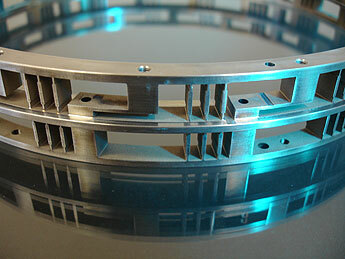 Precision Wire EDM machining provides accuracies to .0002” and superior surface finishes. Our wire EDM machining services are an extremely accurate method of producing a part for high quality, close tolerances. Wire EDM technology is a critical aspect for advanced superior tolerance of parts, repeatable and extensive tooling with ultra fine finishes. Wire Cut Company has earned a reputation for quickly and economically producing parts that defy traditional manufacturing techniques that are ultra fine. 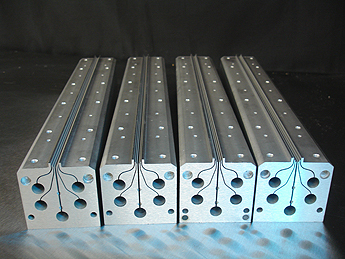 is available at every step of the development process to ensure the creation of a cost effective EDM design. Our aggressive capital equipment update program allows us to respond efficiently to designs that require maximum technology support. Our extensive EDM services include high speed EDM drill, 30° tapers up to 15" thick and cuts up to 48"thick. In addition to Wire EDM machining services, we maintain a grinding department and machine shop with vertical machining center to increase our capabilities and expand the range of wire EDM parts which we can produce cost effectively.